Eureka:There are three Buharis, not two! One of the key features of the Buharian Presidency has been the politics of health, which impacted grieviously on the health of the polity. At a certain time, he always had something to do in London and all his foreign trips( and they were numerous), were routed through London. All this culminated in his historical medical trip that lasted 100 days. On the day he returned, he was so frail that the wind was almost tossing him about. Then, one day, he travelled as usual, returned as usual but started bouncing unusually. He became so vibrant, energetic and active to the extent that everybody, including the son of man, noticed the new and improved PMB. I concluded that an oyibo scientific magic had taken place and I left it at that. Not long after that, the story started that what we had was and is Buhari2, a replacement of PMB, and who was sourced from Sudan ! I did not believe so, and even now, I do not believe so. I told myself that the British media industry and Julian Assange and his WikiLeaks of this world would be the first to blow the whistle in a loud and unmistakable manner. After a while, the story died or so I thought. However in the last one month, there has been a recrudescence of the same story, with facts, figures, names and places being bandied about. The other day somebody sent me images that consumed my budgeted monthly data within a day: images comparing and contrasting between head and hairs, fingers and faces, ears, neck and every aspect of the imagined PMB2 with PMB1. My kinsman and the latest Biafranist, Nnamdi Kanu has been at the vanguard of this new wave of the Two-Buhari theory. Others have also joined the fray but Kanu has maintained the lead, arguing and insisting that there is the Buhari we know and the Buhari that we don’t know. I don’t agree with them but I want to start my own story by stating emphatically that there are actually three Buharis… and all of them are from Daura! The first one is Buhari The Soldier. That Buhari was the Governor of the North Eastern State, Minister( commissioner) of Petroleum and Natural Resources, Head of State( 31/12/83-27/8/85) and the boss of PTF. That Buhari was ruthless, ruled by draconian and retroactive decrees and brooked no opposition . That Buhari fought several wars: against corruption, against indiscipline, against hard drugs. That Buhari contended with the change of currency, the Umaru-Dikko affair, 53 suitcases and the disappearance of $2.8bn from the coffers of NNPC (yes; that same NNPC). Nigerians faced the harshest economic reality at that time and the management of PTF left a lot to be desired, in terms of corruption, abuse of due process, and, parochial tendencies. The second one is Buhari The Saint! The first Buhari went into the closet, repackaged himself and became Buhari the Saint; the best Nigerian, the most honest Nigerian, a man of integrity and a democrat. It was as a Saint that this Buhari sought to lead Nigeria as a democrat in 2003 and 2007( under ANPP), 2011( under CPC) and 2015, when he became 4th time lucky under APC, courtesy of his pact with Tinubu, the GoodLuck factor( who conceded defeat), and the saint brand. It was one of the wonders of the modern world that this Buhari who was draconian, subjected the country to unparalleled economic hardship and whose management of the Ministry of Petroleum and PTF had K-legs, was packaged and sold to Nigerians as a saint. As at 2015, most Nigerians were willing to swear by this Buhari, and merely mouthing his name converted one from a sinner to a saint and the only indicator of progressiveness was to take a picture with this Buhari. Even when it took him 6 months to assemble his cabinet, when body language became an instrument of state policy and when most promises were denied or redefined, the sainthood mantra prevailed. Senators Saraki and Shehu Sanni, and Dele Momodu were his cheerleaders while the anointing by Fr Mbaka and Tunde Bakari was so concentrated that it could not evaporate. Nigerians made excuses for Buhari2 and gave him the latitude to do whatever he wanted to the extent that even when he doubled the prices of petrol, we clapped. The third one is Buhari The Unmasked. 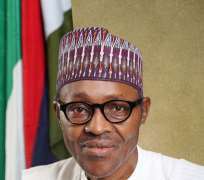 The transmigration from Buhari the Saint to Buhari the Unmasked was a seamless and unnoticeable one. But before long, people started noticing some contradictions between the activities, utterances and policies of the second and the third Buhari. Everything became a Daura or at best, a northern Affair; corruption cases were treated with insecticides and deodorants depending on which political or ethnic divide one belongs; and rather than belonging to everybody and to nobody in particular, he belonged to those who gave him 95% votes, most of who own cattle or are herdsmen. Suddenly, those who saw the light started singing discordant tunes because the one who they believed as a saint has been unmasked as…Now, those who staked all for the second Buhari, have beat hasty retreats and they include: Fr Mbaka, Senator Saraki, Pastor Bakari, Dr Obasanjo, Atiku Abubakar, Buba Galadanci, Chief Olu Falaye, Dr Junaid Mohammed, Dele Momodu, Ghali NaÁba and Aisha Alhassan. They have formed a club, which somebody christened d BFFs( Buhari’s Former Friends. That is the end of my story.I have done this nation a great service! I have proved that there are three Buharis and that all the three hail from Daura. This is a more straightforward affair than the Two-Buhari Theory, which has led and is still leading to wasting man hours, consulting intelligence experts and has the potential of causing unnecessary diplomatic rows. I hope that my service to the nation will be recognized at the next national honours awards. Meanwhile, aking will remain in power as long as his rule is honest, just and fair- Proverbs, 20:28. I wish to express my gratitude to all those who were at the celebration of entrepreneurship and presentation of my latest book: ‘Entrepreneurship in a Changing Environment: Lessons from Experience, which took place at Igboukwu on 11/11/18. Disclaimer: "The views/contents expressed in this article are the sole responsibility of Ik Muo, (PhD) and do not necessarily reflect those of The Nigerian Voice. The Nigerian Voice will not be responsible or liable for any inaccurate or incorrect statements contained in this article."